We are successfully ranked amongst the trustworthy entities offering a wide range of Biryani Pot (with Glass Lid). The pot is appreciated for to its beautiful design, heavy gauge thickness, and balanced surface. 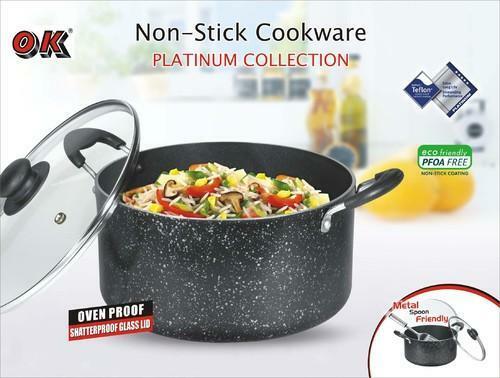 The offered pot is found wide application use in preparing Indian bread and other continental and Asian dishes. At our well-facilitate designed unit, the provided pot is designed and manufactured by experts using superior grade aluminum materials. Also, this pot can be availed from us in various designs at industry-leading rates.